For anyone interested in history and fantasy, our replica documents and maps are perfect for fully immersing yourself in a realm of fiction or a bygone era. 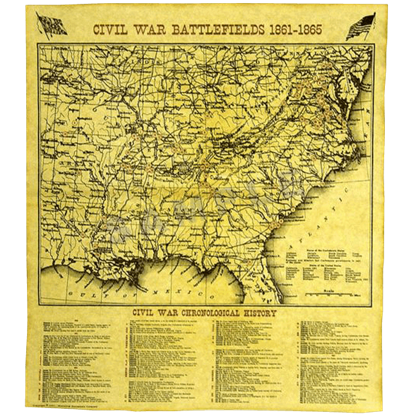 Shop this category for replica historical documents, like a replica version of the Magna Carta, as well as historical and fantasy maps based on famous areas in history or the lands of fiction. 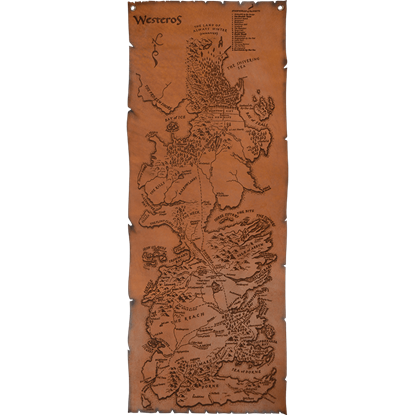 We offer maps of Westeros, from Game of Thrones, either printed on silk or embossed on high quality leather. 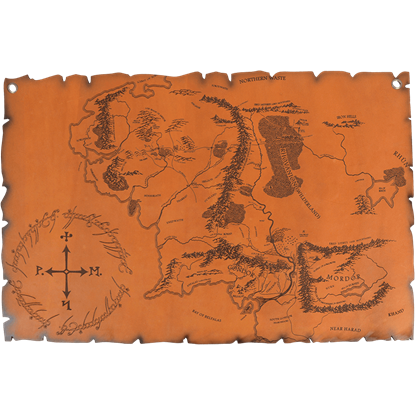 Our collectible fantasy maps span Middle-earth and the world of Harry Potter, as you will find Lord of the Rings maps and Marauders maps here. Shop medieval history maps and pirate treasure maps as well in this category. 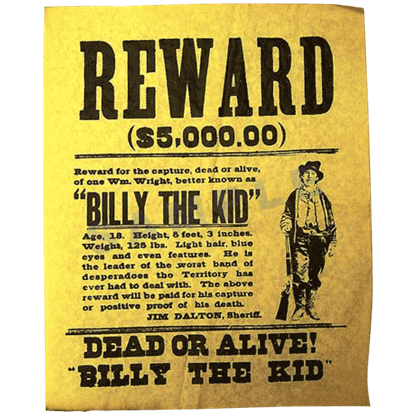 The Wild West is famously known for its cowboys, bandits, gunslingers, and wanted posters, much like this Billy the Kid Wanted Poster! Considering how much the reward for him is on this poster, it is no surprise he was infamous! 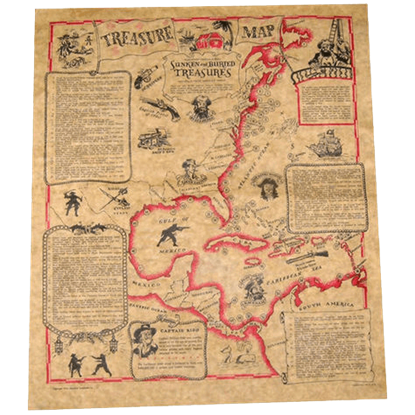 A pirates treasure map, like the one seen in the Buccaneers Treasure Map, is the key to all of a pirates wealth! Very few pirates may have buried their treasure, but the ones who did certainly would not want you to steal their maps! Wanted, Dead or Alive. 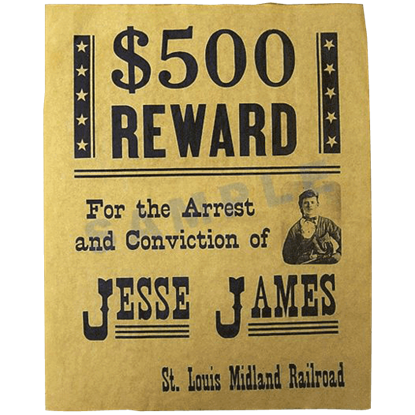 This common Wild West disclaimer can be found on many wanted posters, and the James Brothers Wanted Poster is no exception. 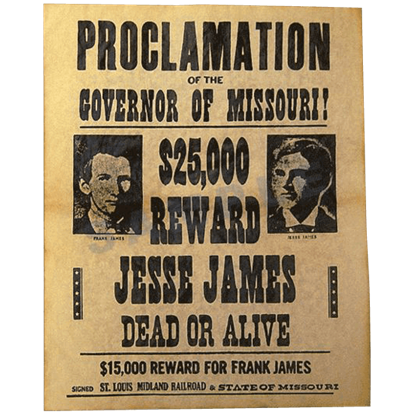 This poster puts a bounty out on the infamous Jesse James and his brother Frank. Infamous bank and train robber and American outlaw Jesse James was a legendary Robin Hood-like figure in the wild west. With his older brother, Frank, and his gang of bandits, James went down in history as an old western bandit! The Magna Carta was sealed under oath by King John in 1215 and became one of the most important constitutional documents in history. 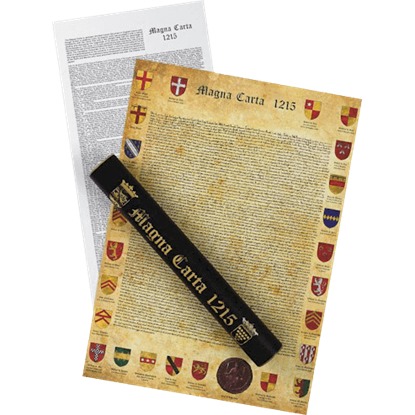 Now, you can possess your own copy of this momentous document with this Magna Carta Replica. Contrary to popular belief, pirates did have a code of ethics. It just so happens that their code of ethics was centered around being the best pirate you could be! 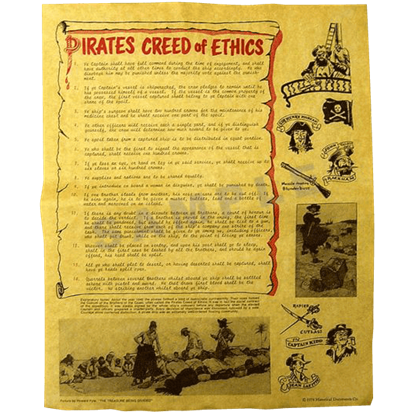 You can own your own Pirates Creed of Ethics document today! At least once in their life, every pirate has found an old treasure map, although not all pirates chose to follow them. 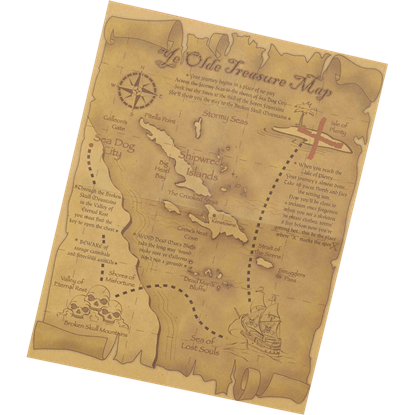 That choice is yours when you have this Pirates Treasure Map, which can guide you on an adventure.